I am somewhat familiar with conditional formatting but not using it on dates - is this feasible and if so how can I do it? In a perfect world, the entire row would be colored for past weeks but just the cell is sufficient if this is getting tricky. 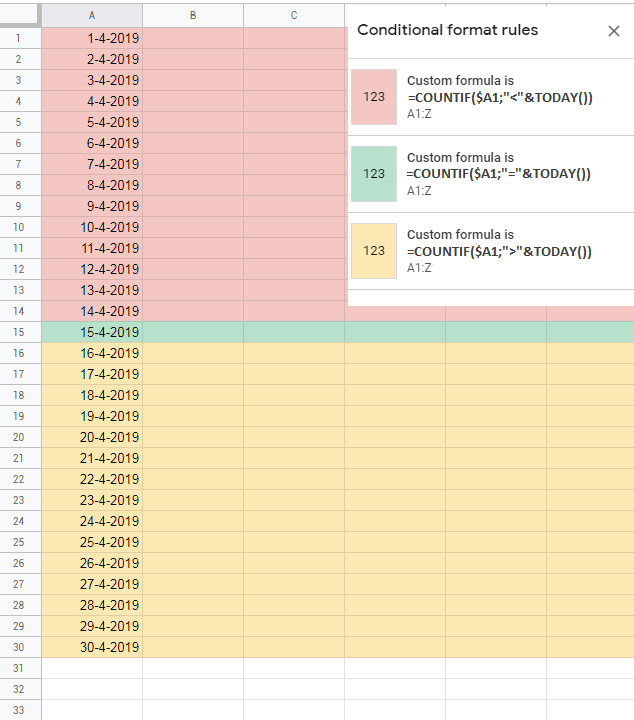 How do I change the cell color in the Google Sheet formula cell?